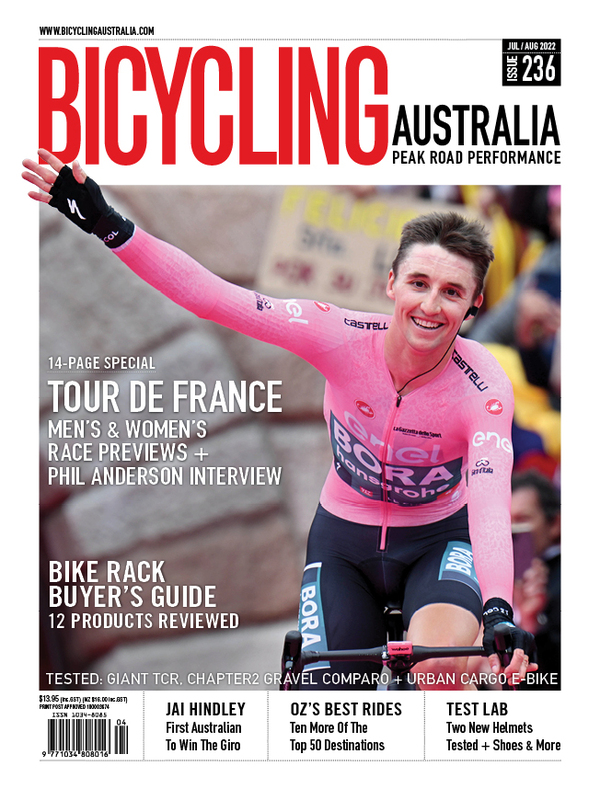 The Trek Domane SL7 was extensively tested on the stunning roads of the New South Wales Southern Highlands, home of Bicycling Australia's annual Bowral Classic Gran Fondo cycling event. Image: Nat Bromhead. Bikes, it could be said, have some startling similarities to boats. The subtleties that separate the good from the bad, and occasionally even the ugly, are attributes that make the absolute difference when out on the road, or the water. 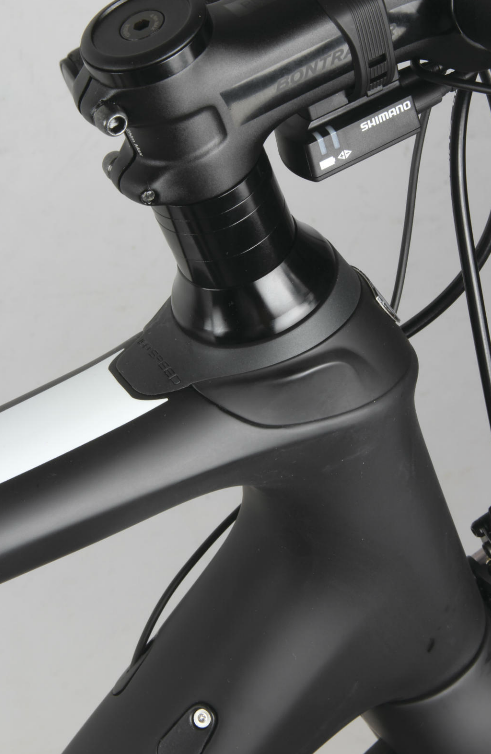 The intricate flare of a bow; the angle of headtube. The length of a chine; the wheelbase. The transom angle; the lean in a seatstay ... and on it goes. 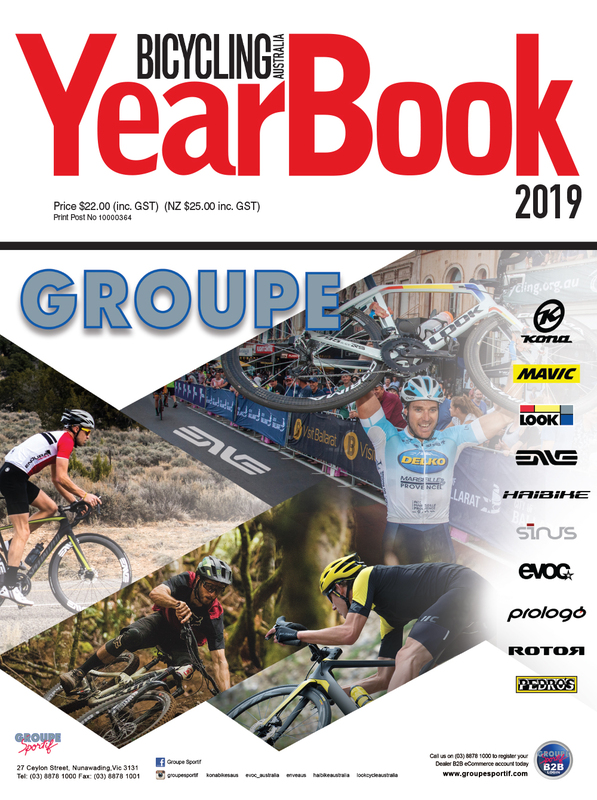 Glance at a new model 55cm bike and, in most cases, it will fundamentally look a lot like numerous others released over the past decade or more. And, to use a 5.5 metre runabout as an example, it’s much the same for boats. They may look superficially similar, but subtle intricacies dictate the ride—some drier, quieter, more comfortable, some go better with less power, some are absolute fuel misers yet offer a drier, safer ride. The Trek Domane SL7 - All day comfort in a refined package. the Trek Domane SL7 I’d been spending the morning aboard. Admiring the stealthy steed from a distance of 20 or so metres it looked a lot like any other bike. This, I thought, is just like boats. From the jetty, beach or another vessel, the intricate angles, quirks and mannerisms are difficult to pick. But get out on the water, give it some power and hit the wash of a passing gin palace, and you’ll soon know if you're aboard a silky-smooth ski boat … or a submarine. The front IsoSpeed decoupler...barely visible fatigue-fighting control. Finishing the coffee I walked to the Trek and spent more time looking closely over it before clipping in and pedalling off toward the next gentle climb. Running thumb and forefinger around the thin seat stays, from the bottom and up along the gentle curve toward the ISO rubber buffer, it was obvious this bike was something special. “So completely integrated but so individually separate,” I thought as I looked over the seat post coupler while wondering how it was assembled in the factory. Offering significant compliance, thanks to a surprising amount of fore and after movement, from right down the tube close to the bottom bracket, the design screams comfort. Then, following the top tube along toward the head tube, and another ISO Speed decoupler is seen. Again I wondered how it was assembled, how it may be removed, and what it looked like inside (for a schematic explanation on this, front and rear, take a look at the Trek website). 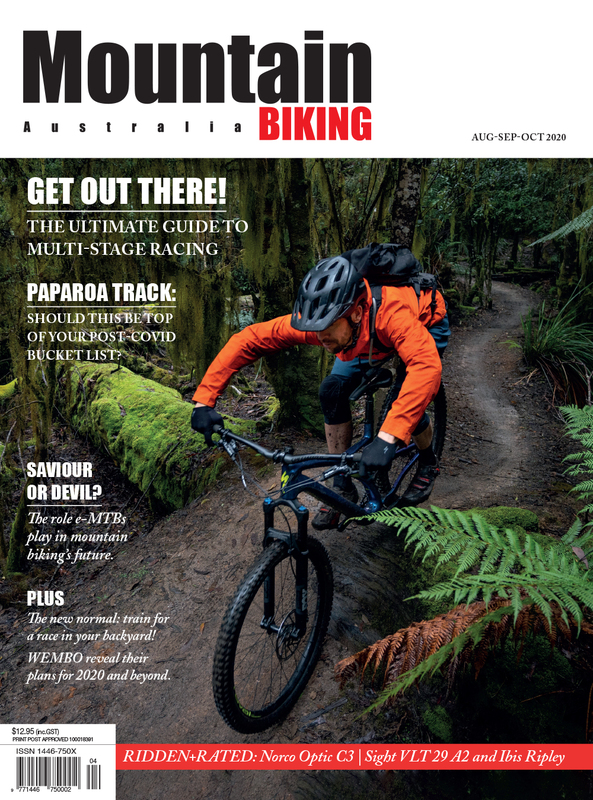 There's a lot to take in here: the rear IsoSpeed decoupler, Bonty's proprietary brakes, a half length seat mast and those Aeolus Pro 3 carbon rims. What I do know, did feel and could certainly see, was the absorption and comfort from what’s effectively a front end vibration and shock dampener - there’s no doubting the efficiency and surprising dampening abilities of this system. 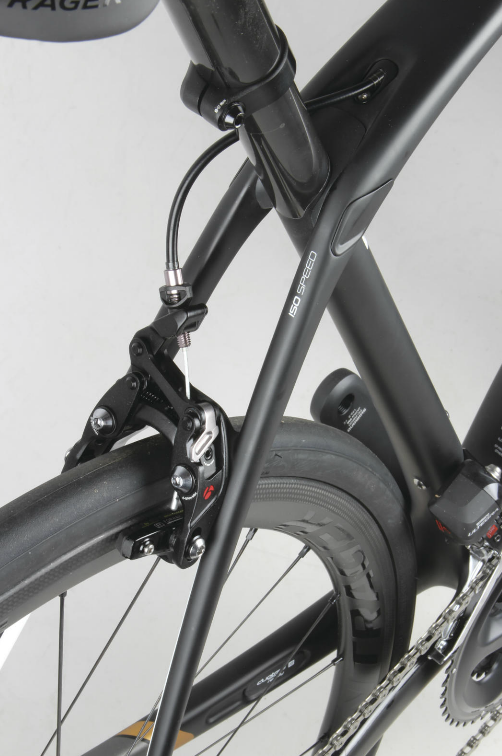 More importantly, the rear ISO Speed decoupler - which effectively separates the seat tube from the frame of the bike - has no perceivable negative effects on the overall stiffness of the frame. Follow the head tube down to the fork and you’ll see hints of classical, almost old-school steel design elements. The fork’s swept forward; another not so subtle indication that this bike is built for endurance - up hill and down dale, long kilometres and effortless comfort. Bontrager's new carbon clinchers add great value and performance. Riding up the gradual climb before the next Southern Highland’s descent, again I was surprised by the overall lightness of the build. A smidge over 7.8kgs, it felt significantly lighter than it was. The 35mm factory Aeolous carbon wheels, and feather touch Shimano Ultegra Di2 no doubt go a long way in adding to that ethereal feel. ‘Cardiac’ is probably one of the best named and most feared climbs around the Southern Highlands, it was there the Domane shone its brightest - for a bike built for endurance, it certainly showed a brisk turn of speed when the going got vertical. Unlike a boat, where weight generally equals comfort and lightness equates to speed, the Domane combines all-day, Gran Fondo style ride qualities with sprightly climbing abilities. Even lifting it onto the roof of the car I couldn't help but feel I was road testing a pure lightweight climbing bike. 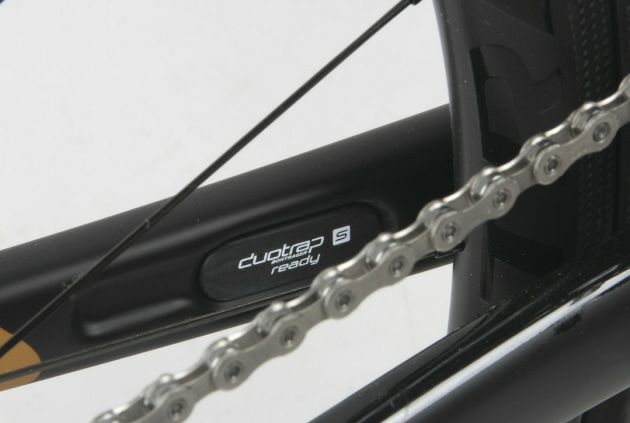 Though not fitted as standard, the frame is ready for Trek’s DuoTrap digital speed and cadence sensor. While not in a position to weigh the decoupler damping blocks, it’s fair to say they’d be heavier than carbon fibre. Boldly assuming Trek engineers looked elsewhere for weight savings after settling upon ISO Speed technology, where did they skim the fat? 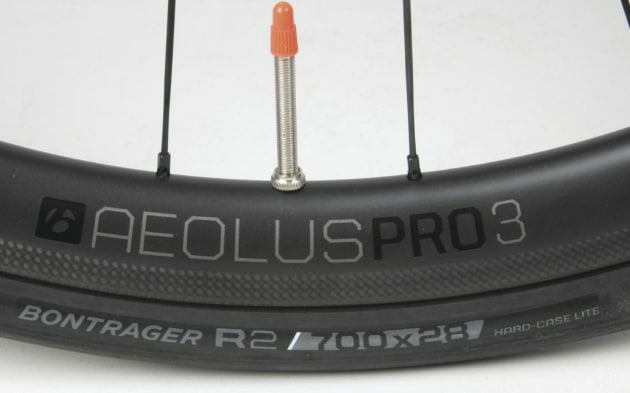 First the wheels - the factory fitted Aeolus Pro 3 tubeless-ready carbon clinchers performed faultlessly. Although a total disc convert, I was surprisingly impressed with the braking surface and bike’s slowing and stopping abilities (more about brakes below). They feel light on the climbs, and at 35mm were not susceptible to crosswinds while riding in less than ideal conditions. The wheelset weighed in at a smidge under 1,500gms. 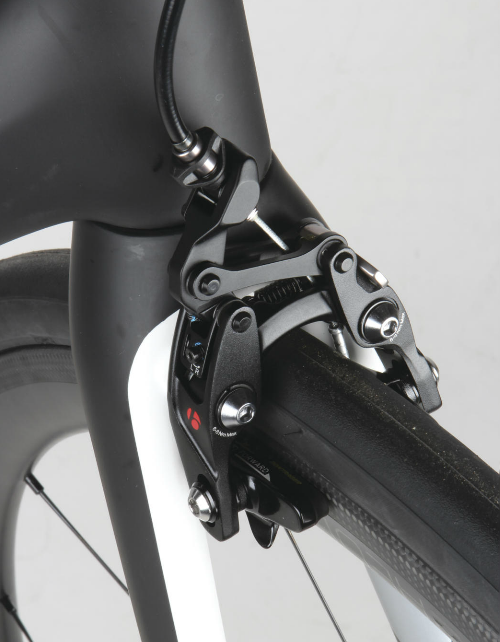 The brake callipers - look closely at the images and you see Trek have used their own in-house Bontrager Speed Stop direct mount brakes. With less than 30mm between mount and pad, no visible flex when simulating pressure, and the rear of the pad fitting into a slight indentation moulded into the inner fork, this is as close to peak rim brake as I’ve seen. Bontrager Speed Stop calipers perform their duties admirably. At around 120 grams they punch well above their weight and, in matte black with a red Bontrager B, they also look pretty cool. The other marginal weight saving is the partially integrated seat post, the clamp being approximately half way between the saddle and top tube for A: more flex and B: less grams. Negatives - More used to the tight, compact position on another bike I’ve been spending too much time aboard, it did take some time to become accustomed to the geometry of this bike. While it was superbly comfortable - and left me feeling surprisingly fresh after a big climbing day - to me the bike had a unique, almost stretched feel about it. A minor niggle was Trek’s choice of position for the white and grey highlights on the frame - behind the front callipers and below the chain and cassette. One way of looking at this is it will make you clean your bike more often, but it did seem odd to use a light, white finish in the two areas most prone to grease, grime and marks. 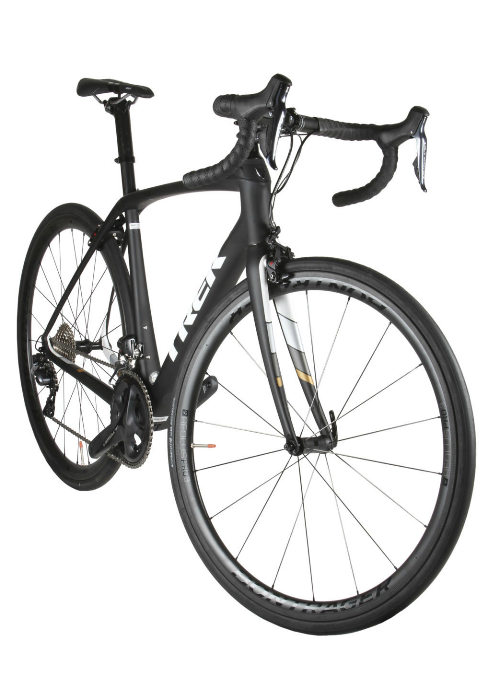 The Domane SL7 - all-day, Gran Fondo ride qualities with sprightly climbing abilities. 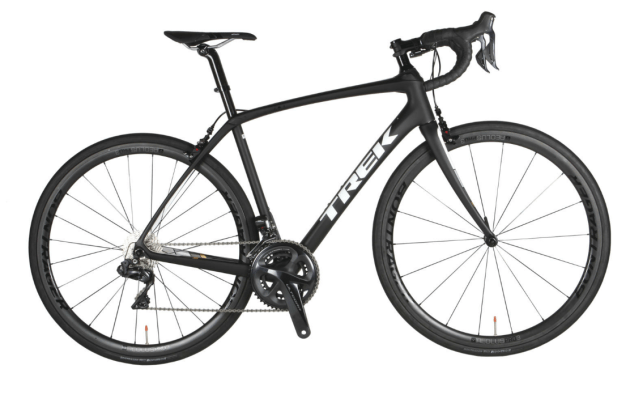 A cutting-edge bike - beautifully balanced, well thought-out, superbly engineered and a credit to Trek. Fit, finish and component choice is spot on - a very impressive offering. Endurance and efficiency have been built into this frame. Extremely comfortable, ISO Speed has obviously been intensively engineered, extensively tested, and any rider will feel the results. Think about how long you might own this bike, multiply your annual kilometre count by that number and divide that by the purchase price - a bargain isn’t it! The SL7 is a sweet looking package, reasonably light, and featuring beneficial technology wherever you look...decouplers fore and aft, full-carbon wheels, Di2 spec, and a slick carbon frame. 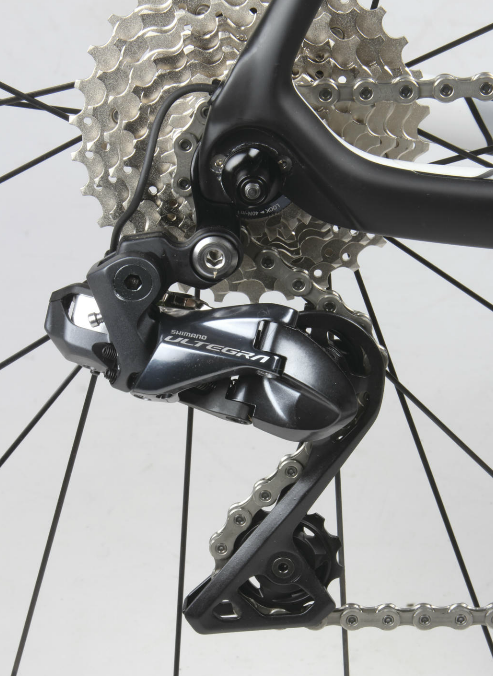 The SL7 runs Ultegra electronic gearing.